I had been toying with the idea of switching over to a Dillon but after some research I decided to stick with the LnL and ended up ordering a case feeder. Is it going to work as good as it looks in all of their video's? Anything I should pay particular attention to during setup? 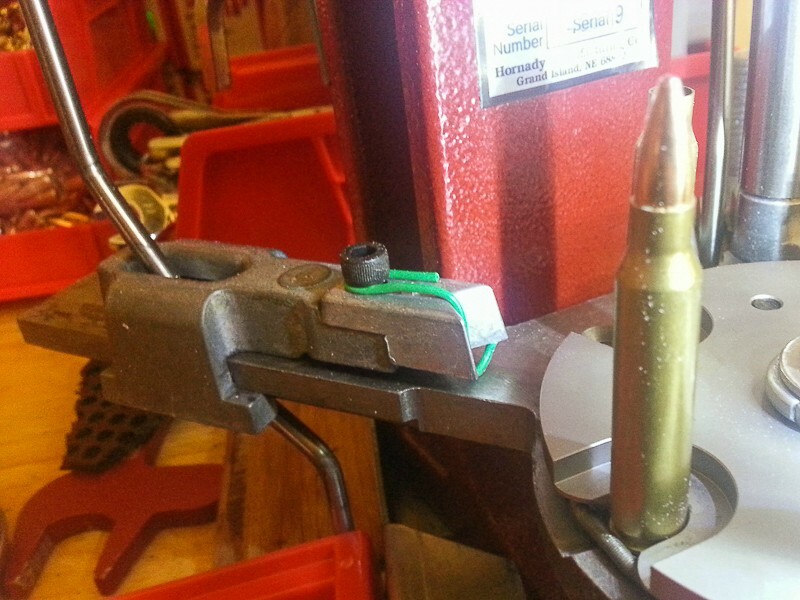 I suspect that 2011 thread DF linked to is for the prior gen...Hornady has made at least one 'silent update' on them..some tweaks may be needed, calibers depending...will dig up my notes and post tomorrow if no one else has.. I've had a few issues with mine, Ive got 3 calls into Hornady support, and theve done well helping me sort thru things. Put a mag level on the mounting rod, and attach it so its level. Make sure that the pivot block is straight compared to the plastic tube, I had to file off a little flashing on the pivot block to make it sit flush. Thanks for the info, it should be here later today so hopefully I get it setup and running today. A casefeeder is going to make any machine much more enjoyable. Yep, and it ruins you. Hornady did silently update their case feeder some time back (maybe a year or so?). Previously, there were some talking about 're-clocking' the collator vs the tube position, to line them up more properly...this is no longer an issue. As the 'pusher blocks' don't extend all the way downwards, I've added a 'pusher' made of a paper clip, to help push the shells from the bottom (much less chance of tipping for e.g. .223). 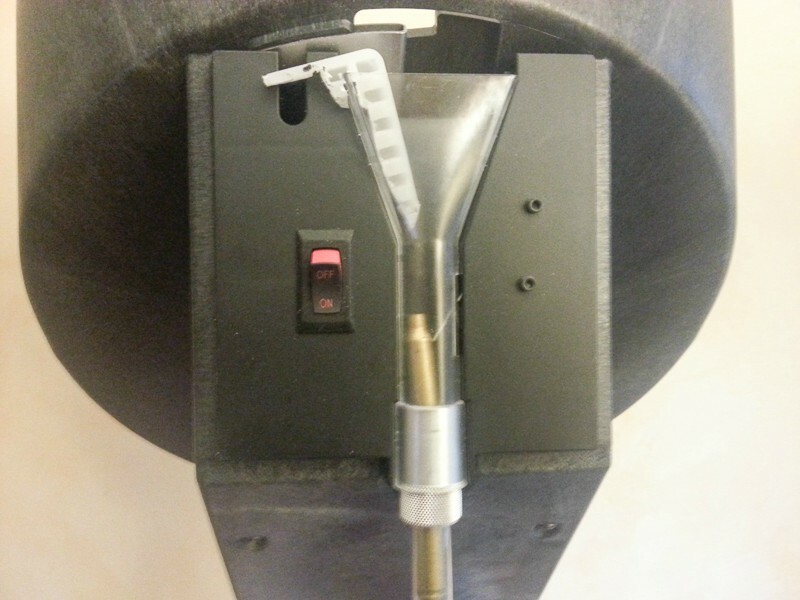 On the opening adjustment above the funnel - some people seem to tighten it up/make the opening smaller vs wider, but I've stuck with the Hornady instructions, just adjust it so a 'head-first' case hits the slider before it reaches center of balance. I think I even leave the adjustment alone swapping between .223 and 9mm nowadays. Last on my mods list...I believe Hornady really should have designed and included a few funnel tube inserts. With shorter cases (e.g. 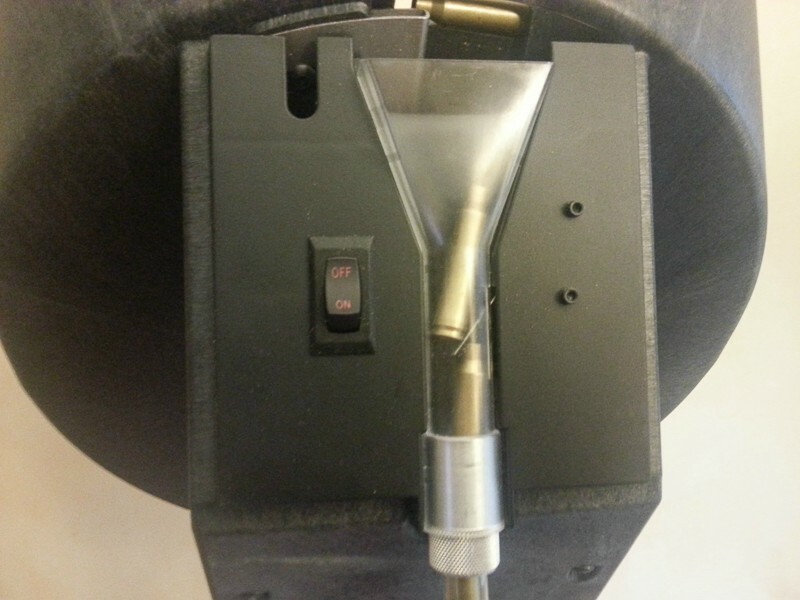 9mm), it's possible for the case to occasionally lodge itself in the funnel front to back, which will then result in 'brass rain' as it blocks off the funnel and tube. I cut up a primer tray that sits on the front face of the funnel, which makes the front to back distance < length of a 9mm case, and eliminates that problem. .223 could infrequently manage the same side to side, so - another cut up primer tray hooked into the left hand side of the funnel pretty much resolves that. You can see that 'insert' in one of my pics above. Got the case feeder all set up yesterday and working. I was pretty surprised it all went together fairly easy. I am going to use that paperclip trick, I ran about 150 test cases through the feeder and that definitely looks like the biggest problem with it so far. I hope to have time to load ammo with it later this week, between this and the manual bullet feeder system, I should be able to put out more than the 200 rounds an hour I was previously sitting at.